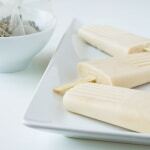 Chai Tea Latte Popsicles are the perfect late summer evening treat or afternoon pick-me-up. Get ’em while summer lasts! Is anyone else wigging out that summer is coming to an end?! I still have popsicle recipes to share people! Can we please just press pause and enjoy these last few weeks of summer? And then I’ll willfully accept all the apples and pumpkins. But for now, I’d like to bask in all the tomato, corn, and peach glory that is end of summer. 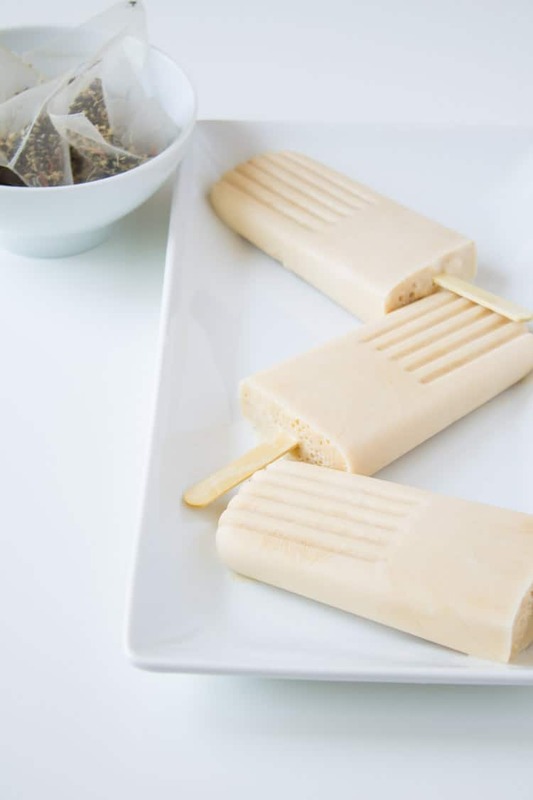 And savor these chai tea latte popsicles. But I also love cooking with tea and lately I’ve been on a matcha kick and recently whipped up matcha tea latte popsicles. I’m an equal opportunity tea enthusiast so didn’t want to leave chai tea out of the fun. 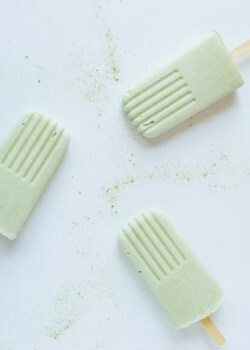 These are a fun spin on my matcha tea latte popsicles made with Greek yogurt. 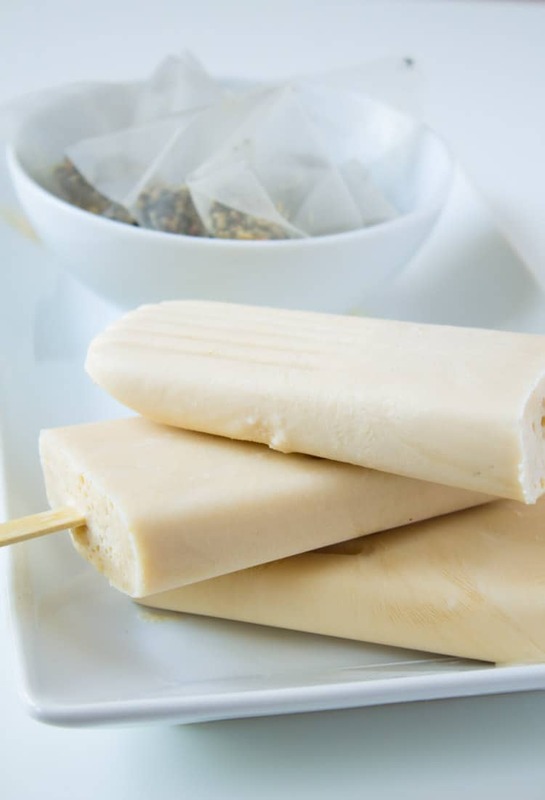 If you want to make these pops in a jiff, try to score some chai tea latte concentrate from the grocery store. But if you’re okay with taking the time to steep your own tea, brew it, baby! I included both options in the recipe. And have fun with it – feel free to play around with other tea varieties you may have on hand – teas like earl grey and vanilla rooibos would work really well. If you’re wondering where to find me these next couple weeks, look for me at the beach, eating my weight in tomatoes, and all the popsicles. In a medium mixing bowl, stir together yogurt, honey, and vanilla. Add chai tea concentrate and whisk together until smooth. * For the chai tea concentrate, can substitute 2 decaf chai tea teabags steeped in 1 cup water. Add 1 ½ tbsp. honey and let cool before adding to yogurt. 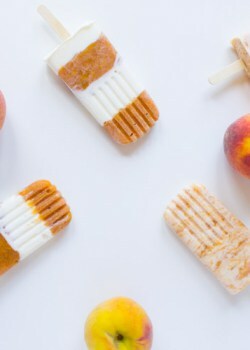 **Layer chai tea concentrate and yogurt in popsicle molds for a fun striped look – freeze each layer for 30 minutes before adding the next. 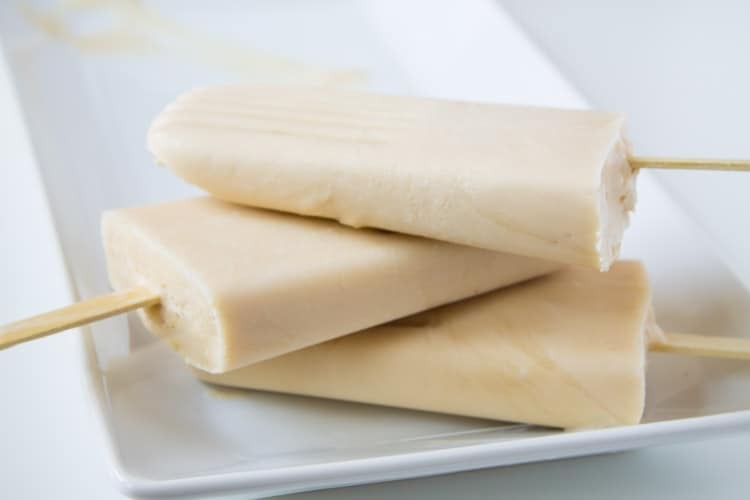 Optional Substitution: Use any tea bag variety, like rooibos or earl gray, in place of chai to make various tea latte popsicles. Tell me, how are you enjoying the last few weeks of summer? What a fabulous idea! I too agree, peaches lets reign supreme a little longer before the sweet potatoes roll on in! I love your photos- so pretty! I just pinned because it was so eye catching and sounded delicious! Nice work. Love this idea since it’s too hot to drink a chia tea latte! Yum!